Friday morning, a massive earthquake – 7.0 in magnitude – hit Alaska. 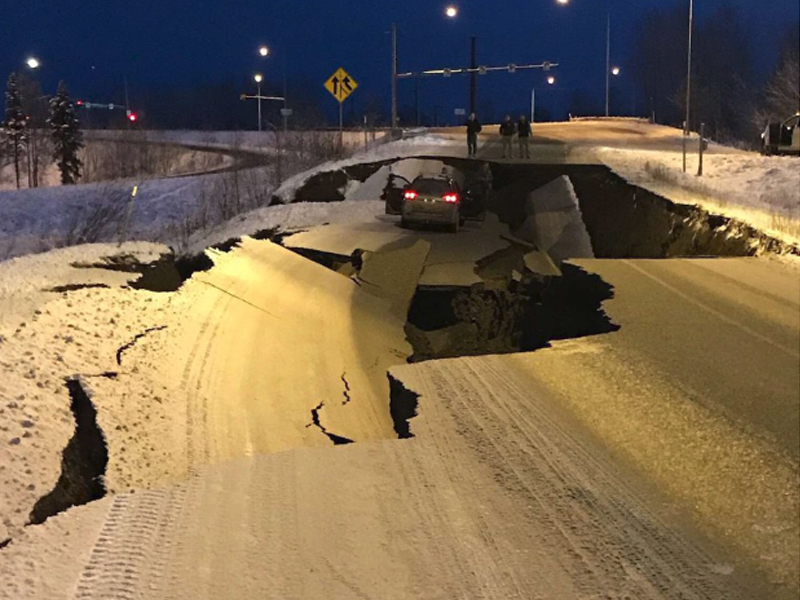 The earthquake, which was felt throughout the state, was centered just 5 miles outside of Alaska’s largest city, Anchorage. The large quake, which tore through nearby roads, shattered windows and cracked office buildings and schools, led the National Weather Service to issue a tsunami warning for the Cook Inlet and the Southern Kenai Peninsula just moments after the earthquake. While the warning was later canceled, residents were still instructed to flee to higher ground. Many buildings in the area were severely damaged, with cracks affecting the structural integrity of these properties. The 7.0 temblor was followed up by an equally destructive 5.8 aftershock. While Alaska averages some 40,000 earthquakes per year – with more significant earthquakes than the remaining 49 states combined – this is not the largest earthquake the region has experienced. Back in 1964, a 9.2 magnitude earthquake with an epicenter 75 miles outside of Anchorage struck area – the largest earthquake in U.S. history. The quake lasted about 4 ½ minutes which triggered a tsunami that resulted in the loss of 130 lives.